Welcome to the seven hundredth of my blog interviews with novelists, poets, short story authors, biographers, agents, publishers and more. Today’s is with my editor Rachel Daven Skinner. A list of interviewees (blogged and scheduled) can be found here. If you like what you read, please do go and investigate further. Rachel: Hi, Morgen. Thanks for having me as your 700th guest interviewee! Morgen: Oh you’re so welcome. It’s great to have you. By the way, folks, although I’m a freelance editor, no one should edit their own novels without having another (ideally professional) pair of eyes looking over them, so Rachel’s mine. 🙂 Rachel, please tell us something about yourself, and how you came to be an editor. Rachel: I’m American born and raised – Washington and California – and then I fell in love with a military guy and packed my bags (actually, just what could fit in my car, which included three cats) and followed him to Colorado. Four years and a wedding later, we moved on to London for the next four years, and this past summer we moved to Hawaii. (I swear I married him for more than his travel perks!) Morgen, was it Nov ’09 that we met? I think so. I know we met at a Chorleywood Bookshop event and swapped business cards, and back then both of our titles read ‘Writer’. Your podcast was in its infancy; no blog or website for either of us. I was exploring the idea of being a writer thanks to a two-day career boot camp I’d attended that spring, where writing kept popping up at the top of test results for jobs matching my personality, skills, and interests. That fall I joined an online writing community, but from the get-go I spent more time reading other people’s work than contributing any of my own. I became increasingly particular, both in my head as a reader as well as in the constructive and detailed critiques I would post within the writing group. I soon had requests from a few of the authors to work with them in an editing capacity on their in-progress novels before they posted their work for the group’s feedback, and it eventually dawned on me that not only was I was better at tweaking other people’s writing than coming up with the material myself, I also enjoyed it more. But back to meeting Morgen. She encouraged me to join her at Get Writing, a St. Albans one-day writing conference in the spring of ’10, and thank God I left my cozy hermit shell and actually went, because that day had a huge impact on my career path. Indie publisher Choc Lit had an hour panel slot, and I was so intrigued by their fresh approach to publishing through the use of their Tasting Panel – test readers for manuscripts under consideration – that I sent them an email that very night to enquire about joining the Choc Lit team. I spent a year on their Tasting Panel before getting promoted to be their production editor, then after a year in that position I was promoted to be one of the primary freelance editors for their paperback list. (You can see my editing portfolio on my website.) Aside from my ongoing work with Choc Lit, Romance Refined is my independent service where authors can hire me for freelance editing. A few months ago, as I was unpacking boxes in our new house, I came across my notes from the ’09 career boot camp I’d attended. Guess what else kept appearing in my top five best-suited careers? Yup, being an editor. Funny how it didn’t register on my radar right away! There’s definitely been an element of ‘right place, right time’ in my career thus far, but over the past few years I’ve also taken several editing courses, spent countless hours following editor bloggers, studying the field, reading (yes, reading) style guides, attending conferences and conventions, talking to authors, and always reading reading reading novels. Morgen: I’d forgotten about the Chorleywood Lit Fest – yes, we met in Toby Litt’s writing class. You’re currently based in Hawaii (lucky thing!) – does location makes a difference to your work? Rachel: The wonderful thing about being a freelance editor is that my job is entirely portable. As the wife of a military man, that’s crucial for my career! I have visions of taking my laptop to a beachside café shack and sipping a Blue Hawaiian while I work, but it hasn’t happened yet. 😉 As for finding clients and peers, I admit there’s not a lot of local networking events, which I will sorely miss now that I’ve been spoiled by London opportunities, but thankfully the internet is a fabulous water cooler. Freelance clients come to me by word-of-mouth recommendations and from my website popping up on Google searches. I’ll also be flying out for the RT Booklovers Convention in May, which I’m so stinking excited about. Morgen: I would be too. Is there a format (novels, non-fiction, short stories…) / genre that you generally edit (and / or one that you prefer)? Rachel: In the vein of ‘do what you love’, I only edit fiction. Entirely against my will, I just cannot maintain focus while reading non-fiction for any length of time, and focus is essential when editing! Within the fiction scope, my preference is romantic fiction, meaning fiction where a romantic element is secondary or equal to the main plot, not necessarily the driving force of the plot. My favourite genres are suspense / mystery / crime, historical, dystopian / light sci-fi / light fantasy, comedy, and anything with an atmospheric setting (I’m particularly attached to books set in the UK right now since I feel homesick). I do read and edit beyond those particular genre parameters, though. I’ve edited a few novellas and a short story anthology and am open to editing more of them, but I prefer full-length novels. I like to get really attached to characters and feel as though I’ve been on a long journey, not just a day trip. 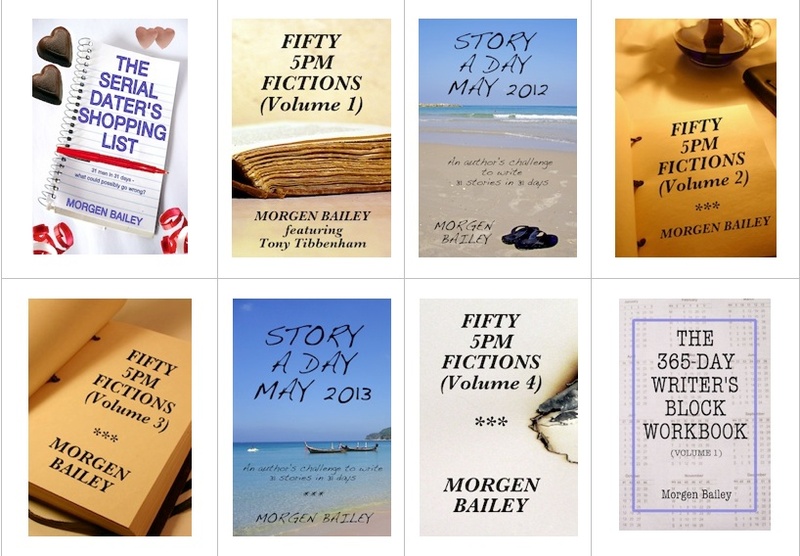 Morgen: Short stories are my first love but I tend to be sent novels more than anything else. A rather global question, but are there common mistakes an author can make? Rachel: Absolutely, but I’ll just name one: A writer needs to read the genre for which they are writing. It’s crucial that they know the genre’s tropes even if they plan to avoid them in their own writing; know what readers expect from the genre so that the author doesn’t make false promises in a synopsis or jacket blurb that leave the reader disappointed in the end, which will surely result in negative reviews even if the writing and story were good; and know where their writing fits in the marketplace so that they can approach the appropriate agents and publishers or know how to appropriately self-market. Morgen: That can be hard, especially where the story crosses genres. Do editors generally charge by the word or the hour and which do you think is best? Rachel: Gah! I hate figuring out rates, and so do the other editors I’ve spoken with and read forum and blog posts from. What I’ve noticed is that editors working for businesses, agencies, and publishers often charge an hourly rate, sometimes even a flat rate for the project as a whole. Editors working one-on-one with author clients generally do not charge hourly. Many indie authors, at least at this stage of the self-publishing boom, have never worked with an editor before, and the idea of an unknown final price based on actual hours needed to complete the job, well, that’s scary! Budget is often the major concern for an indie author, so they need to know in advance exactly what the endeavour is going to cost before they commit to moving forward. So for non-hourly pay breakdowns, the options are to charge per word, per page, or per 1,000 words. I’ve noticed that in the US it’s more common to see rates per word, with rates per page coming in second, whereas in the UK it’s more common to see editors listing their prices per 1,000 words. Since a page is always equal to 250 words for the sake of industry calculations, essentially all three options amount to the same thing. Personally, I list my prices per word since it’s the most straightforward for plugging into a calculation. Morgen: Me too, so that authors can see at a glance how much it will cost and most of my clients are indies (as am I to-date). Rachel: The UK’s Society for Editors and Proofreaders (SfEP) and the US’s Editorial Freelancers Association (EFA), both of which are the leading relevant industry leaders in their respective countries, list rate recommendations in an hourly format, so figuring out non-hourly rates requires a bit of reverse engineering and first-hand experience, which has been known to lead to grey hairs and wine consumption. *ahem* For setting my Romance Refined rates, I studied 30+ websites, including the two groups mentioned above, editing companies, freelance editors working for publishers, and freelance editors for indie authors – for the US and UK market – and then made a spreadsheet to compare them all. The toughest part of rate comparing is that there are so many definitions and interpretations of the various types of editing, and editors offer so many approaches to editing (what type of editing will they be doing? do they do each type of editing separately or do they combine multiple types into a single round of editing? how many times will they read through the manuscript? will follow-up be included? and on and on) It can be really challenging for authors to compare apples to apples. I wish I had a good solution to bring to the table, but ultimately, my best advice is for authors to research as much as possible so that they know what questions to ask when they interview potential editors. Morgen: I think this is where the free sample comes in. I do the first 1,000 words for free so that the author can see what sort of feedback they’d get. If it’s what they’re looking for then they know it’s likely to be a good match. Fortunately more people proceed with me than don’t. How much notice do you get (would you like / need) for editing a project? Rachel: The sooner I can pencil in tentative dates for a client, the better! Choc Lit normally notifies me a month or so in advance as to which upcoming title will be assigned to me. For all other clients, it varies. If I have an opening in my schedule and I’m intrigued by the project then I don’t mind accepting last-minute work. Generally, though, I like to book one month prior so that I can plan my life accordingly and aim for an even pace. There are times when I’ll be booked solid for a few months in advance because I may have several ongoing projects that will take turns on my desk as they all go through multiple phases of editing. Morgen: You’re one of Choc Lit’s primary editors for their paperback list – do you have much dealing with other publishers? Rachel: Not yet, but I’m available to freelance with other publishers. Morgen: I’ve heard numerous authors say they can self-publish without an editor – what would you say to that? Rachel: I cringe and make an involuntary ‘not good’ face, but usually I say polite things. 🙂 I’ve never spoken to or heard of an editor that would let themselves be published without another editor first working on the material, so what does that say? It’s human nature to need more than one set of eyes on a project of any sort. Would an architect rely on his sister to tell him that his blueprint was perfect and ready to compete at a home show where the competition was going to be stiff? If his sister is a fellow architect, maybe, but otherwise who cares if she thinks it’s a pretty drawing? I have a related post for my blog in the works, but the gist is this: If your top-pick publisher signed you tomorrow, with excellent royalty terms and all the rest, how much would you expect them to spend on getting you published and successful? Would you expect them to make you famous for free, without any additional polishing, effort, or insight? No. So why would a self-publishing author think they wouldn’t also need to bring the same level of well-rounded professionalism to their work? Yes, there will always be exceptions, but generally speaking you have to invest upfront if you want to give your book the best chance possible for long-term success – and payoff. Morgen: Absolutely. Apart from you picking up errors (fortunately not many to-date), you do come up with some brilliant suggestions. How do you prefer to edit – on screen or on paper? Rachel: On screen. I can’t even do creative writing on paper. My brain doesn’t work very linear, I guess, so I constantly tweak and reorder the things I type. That, and the Search, Find, and Replace commands are an editor’s best friend. I really can’t imagine editing without those tools. Morgen: 🙂 You mentioned earlier that you don’t write fiction – do you think if you were also a writer it would influence being an editor? Rachel: Any time I try to write creatively – or even blog posts like this! – it’s a glaring reminder for me of just how hard authors work at their craft, and that helps me keep kindness and respect at the forefront of all my author–editor relationships. I do think that the more I can improve my own writing skills, the better I’ll be able to guide authors. Morgen: You also mentioned going on editing courses – if someone wanted to become an editor, how would they go about it? Are there qualifications they can gain? Would they need them? Is there much competition to be an editor? Rachel: I once asked Philippa Pride – “The Book Doctor” and Stephen King’s British editor – that same question, and she recommended the Publishing Training Centre in the UK for classes and certifications, and to find an apprenticeship for any position at a publishing house, which is how she started out. I’ve taken classes through SfEP, which partners with PTC, and I landed the position as Choc Lit’s production editor by asking if they had any apprenticeship opportunities and they hired me instead. So, I’d say there’s merit to Philippa’s advice, lol. That said, I’ve learned and developed my skills more so by studying and researching on my own. The problem is that it’s hard to quantify that to potential clients or employers, so having any type of organisation or school to back you up is going to be helpful for getting your foot in the door. Morgen: I love going to live events as it’s so different to interacting online – which I love – or sitting in my office with just my dog for company – which I also love. It’s especially great to put faces to names and now I’m teaching, I get paid to share my knowledge and enthusiasm to others so that’s the icing on the proverbial cake. Are you involved in any of the marketing for your clients? Rachel: I follow my authors on twitter and facebook and re-tweet / share their news-worthy posts. During publication month I try to pay close attention to the book’s exposure and buzz so that I can write my own congratulatory or buzz-worthy posts, and I feature the latest publication I’ve edited on my Romance Refined homepage. I’ve also given away a few of my authors’ books as prizes or gifts. Morgen: What would we do without social media? Are there any books that you’ve edited that you remember for all the right / wrong reasons? Rachel: Yes to both, lol! But the details stay with me. Morgen: Fair enough. 🙂 How important do you think title / covers are? Rachel: A lot of writers aren’t going to like my answer, but I’m going to be honest. Want to know how I shop for books these days? I get a daily email from Pixel of Ink that has a collection of about a dozen Kindle books that are on special for either free or cheap. I very quickly scroll through the list, looking only at covers. If I see one that looks interesting I’ll stop to read the title. If the title and cover combo fit together and I like the feel of it, I don’t bother to read the blurb, I just click the link to go direct to Amazon so that I can look at the reviews. If a book doesn’t have at least 25 reviews, I close the page. If the 25+ reviews don’t average about 4.5 stars, I close the page. If the price is more than $2.99 or so, I close the page. If the page is still open after all of that, I finally read the blurb and make my decision. Before I start getting hate mail, bear in mind that I own 600+ books that I’ve not yet read, I have a list of authors I auto-buy because I’m already a fan, and I also buy books that are recommended to me by fellow readers whose taste I trust. But for shopping blind? Covers scream about the quality between the pages. Professional covers are obvious, they just are, and if an author has trusted the quality of their product enough to pay for a cover artist, then it’s more likely they’ve been meticulous with the book’s content. Always true? Heck no. But in a flooded market, it’s a common benchmark. Morgen: I’d not heard of Pixels of Ink but I get similar emails from digitalbooktoday.com and bookbub.com, although, like you, I buy books too. Do you work every day? If there is such a thing, do you ever suffer from editor’s block? Rachel: I have a really unstable work pattern, which I’m trying to remedy. There are times when I don’t work for five days, followed by working every day for two weeks straight. I can’t remember the last time I took a vacation where I didn’t end up working at some point on the trip, which is not so good. I definitely suffer from editor’s block sometimes; usually the cure is reading strictly for pleasure so that I can recharge. It’s all-too-common for me to work through the night till the wee hours, because I’m naturally a night owl and once I’ve hit my stride, I hate to stop because I know it’ll take me a while to find my groove again the next day. They aren’t good work patterns, so I’m trying really hard to make myself work more ‘normal’, steadily-paced hours. Morgen: Reading for pleasure? What’s that? 🙂 I joined three reading groups (at different times) to get me to read more but each time I stopped at reading a book I didn’t want to read (which defeated the object). I review short stories and writing guides every other Wednesday so at least I read something I’ll enjoy (usually anyway) but even when I read other fiction, I’m still analysing. It’s like going to the cinema, I can’t switch off, which can be frustrating. Do you have to do much research for your job? Rachel: It depends on the manuscript, but yes, every project requires a bit of research during they fact-checking, copy-editing stage. Usually historicals require the most research, often for etymology of a word or phrase to ensure it’s not anachronistic. For a contemporary I once researched a famous painting quite extensively and learned some surprising things about multiple versions that the artist had rendered. Morgen: I was on a U.S. underwater forensic team’s website the other day for a mystery novel I was editing – that was fun reading. What’s your favourite / least favourite aspect of your editing life? Has anything surprised you? Rachel: I love the relationships I get to build with my authors and the whole collaborative experience. I get so excited when I see a book get well reviewed or nominated for an award, because I know how excited and proud that author will be, and I absolutely love knowing that in some way I was able to contribute to their joy and success. It makes me happy. I miss being able to constantly read for pleasure, though. There are so many books that I really really want to read, but there’ll never be enough time to get to them all. Heck, even if I had no job and did nothing but read for pleasure, there wouldn’t be enough time! Despite how much I read, I’m a rather slow reader; I guess I like to savour the experience and cherish each nuance that the writer (and editor!) constructed. 🙂 I also struggle with setting aside time to work on my blog! Morgen: I’m far too slow too, especially when I’m reviewing – I almost write a comment for every page! As for the blogging, that’s partly why I have so many guests. 🙂 If you could invite three people from any era to dinner, who would you choose and what would you cook (or hide the takeaway containers)? Rachel: King Arthur, Shakespeare, and Tom Hanks. They’d cover a wide spread of advice on love and marriage, don’t you think? (Or maybe I should sub Hugh Jackman for Tom – Hugh is known for being a great husband and he’s hotter than hell. And he could talk about poop and I’d still enjoy listening.) I’d have international tapas so that the old boys could try new things, and it would have to be catered because I cannot multitask whilst in the kitchen – a notorious fact amongst anyone who’s ever had a meal at my house – and I’m not sure I’d want to leave the three of them on their own. Rachel: Am I allowed to say “read”? It’s truly my addiction. And I absolutely love to travel. Fun fact: When I book flights, I take into consideration which route and layover lets me take fullest advantage of guilt-free reading time. Morgen: You absolutely are. Are there any writing-related websites and/or books that you find useful? Rachel: SO MANY. For writers embarking on self-edits or prepping to work with an editor, Beth Hill, The Editor’s Blog is a font of helpful advice and examples. She’s also great at interacting with anyone that leaves a question in the comments. Stephen King’s On Writing is a classic for a reason. For sources more geared towards editors, The Subversive Copy Editor book and blog are great; I haunt Constant Hale, both her books and her blog, Constant Comment; Louise Harnby’s blog, The Proofreader’s Parlour (how cute is that vintage parlour theme? ); and Rich Adin’s blog, An American Editor. For style guides and dictionaries, check out the list of reference materials on my website, but as a general note, style guides are great not just for their technical sections; they all have a great section on the actual process of editing and book publishing. Morgen: ‘On Writing’ is the most recommended guide in these interviews and I’ve recommended it to my students. Are you on any forums or networking sites? If so, how valuable do you find them? Rachel: I rely on Twitter for networking with industry professionals, and although it hasn’t led directly to any work yet, I’m confident that it’ll help open doors in the long run. I’m an SfEP associate, and their forum has definitely proved helpful as a place to connect and ask questions. I have an online subscription for the Chicago Manual of Style, and I’ve utilised their forum too. I’m a member of the EFA, and this past week I received an email asking if they could feature me in a spotlight online and in their newsletter at the end of March, so who knows what they may lead to! Morgen: I love being invited to take part in things – I can (and do) talk writing all day long. Is your website, http://www.romancerefined.com, the best place to find out about you and your work? Do you take enquiries from authors directly? Rachel: Yup, my website is a great jumping off point for information on working with me. I also have a blog there were I do book reviews, author interviews, etc., although life has been so busy since I moved this summer that the blog has been neglected lately. I’ve got a stockpile of reviews to get uploaded! Morgen: Oh great. Maybe I could have some (after the event is fine) for my blog? Thank you, Rachel. It’s been such a pleasure chatting with you and we’ll miss you at this year’s Get Writing Day. Oh, and happy birthday for yesterday. 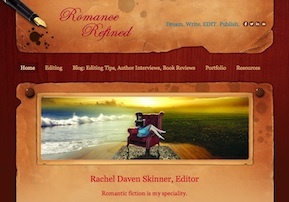 Rachel Daven Skinner is a freelance editor of romantic fiction. 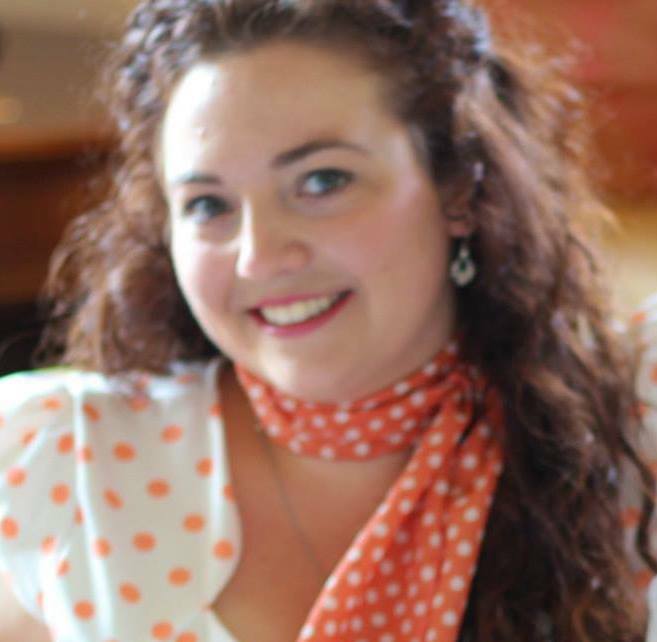 American born and raised, she recently spent four years living near London before moving to Hawaii in August 2013. Her conglomeration of English lends itself to bridging the gap in writing that spans the Atlantic. She’s a Society for Editors and Proofreaders (SfEP) associate, an Editorial Freelancers Associate (EFA) member, a Romantic Novelists’ Association (RNA) member, and a Romance Writers of America (RWA) member. Find out more about Rachel and the editing services she offers at www.RomanceRefined.com, where she also blogs editing tips, book reviews, interviews with authors on the topic of editing, and more. The site also has some great resources like a downloadable style sheet and timeline for sorting out your story continuity, a list of worldwide romance conferences and conventions for readers and writers, and more goodies. If you are reading this and you write, in whatever genre, and are thinking “ooh, I’d like to do this” then you can… just email me and I’ll send you the information. Because of the time they take to put together (I add in comments as if we’re chatting), they do now (January 2013) carry a fee (£20 / €25 / $30) for the new interviews on this blog (they also subsequently get posted on morgensauthorinterviews.wordpress.com and morgensauthorinterviews.blogspot.co.uk) but everything else (see Opportunities on this blog) is free. If you would like to send me a book review, see Book Reviews for the guidelines. Other options listed here. Great interview! It was a pleasure meeting Rachel Daven Skinner, and I learned a lot. Thank you! Thank you, Joy. I’ve passed on your comment. Thanks so much for reading and commenting, Joy! I’m glad you got something out of it. Feel free to get in touch if you ever have questions.